You supply the images; we take care of the rest! Choose from more than 170 designs! You choose your images and verse; we take care of the rest! Unique C-fold design unfolds to reveal a 12-month calendar! View our selection of more than 170 business calendar card designs. They're a unique promotional item for business, large and small! The Enfield Stationers Catalog pictures all of our new business calendar card designs. We offer more than 170 different business calendar card designs in all, which means you're sure to find a holiday card that's perfect for your business. Enfield Stationers offers up to six lines of imprinting on calendar cards and three lines of imprinting on return address envelopes all for free! We offer the best deal for these unique promotional products you'll find anywhere! 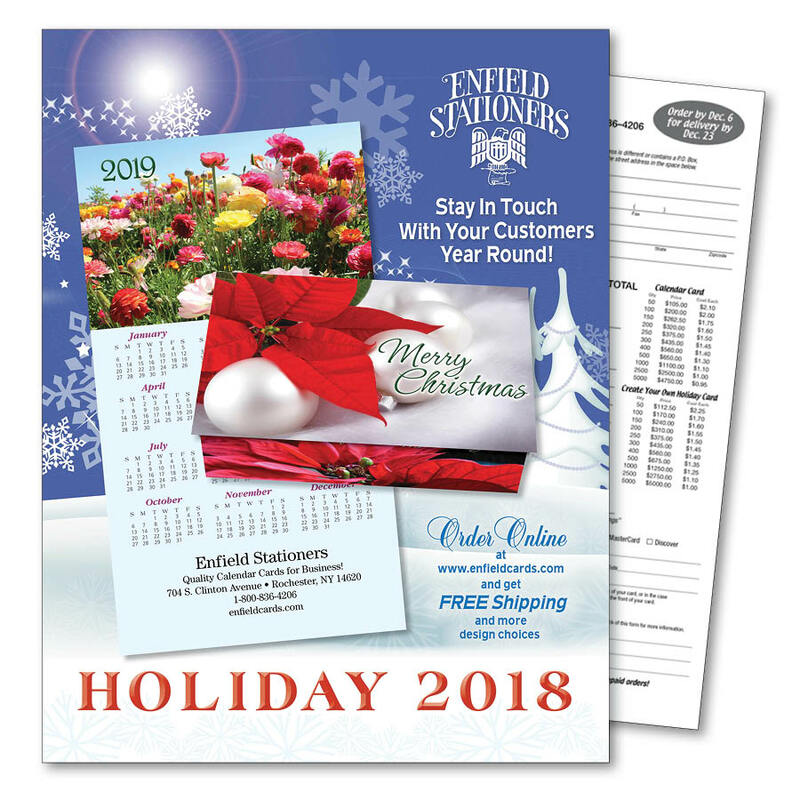 Click here to download the Enfield Stationers Holiday catalog. Click here to download the Enfield Stationers Order Form.